Custom made company stamp/ self ink stamp / embosser Singapore at EPRINTING PTE LTD. we can offer the best price at high quality of the stamp . Custom Stamp & Engraving carries Self-Inking units available in a wide selection of sizes. We stock Self-Inking units with square, rectangular, and circular die plates to match whatever layout you need. 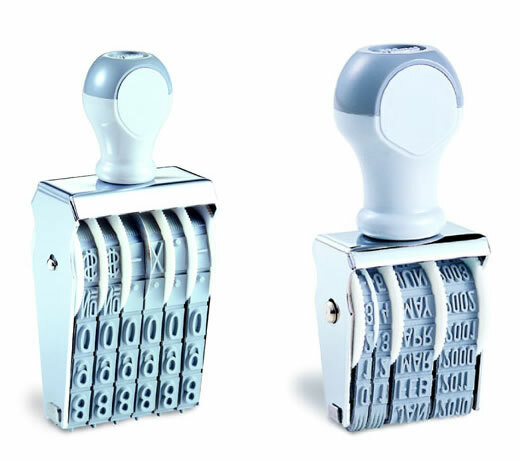 We also stock a large number of Self-Inking Date Stamps which contain rotatable date bands in the center. Furthermore, many of our Self-Inking units are made from 70% recycled materials, which is pretty nifty. Why Choose a Self-Inking Stamp? Convenience: There are a number of reasons why a Self-Inking Stamp is a great choice. The most obvious reason is convenience. 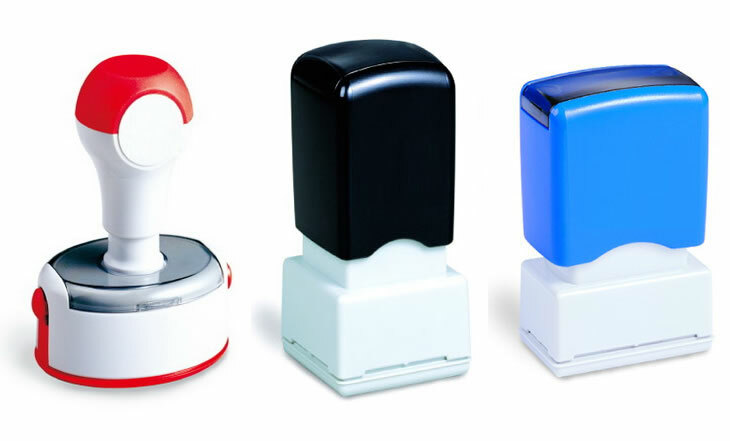 Self-Inking stamps are compact, lightweight, and there's no need to carry an ink pad around because it's built right inside the unit. Designed to Last: Another advantage of the Self-Inking stamp is their ridiculous ability to pass the test of time. Seriously it's a little scary. We've occasionally serviced Self-Inkers that are over 20 years old! The reason is because when the rubber die is worn out or needs new information, we can simply replace it. That way you pay only for the rubber die and save yourself from buying a whole new Self-Inking Stamp. Custom Stamp also carries all of the replacement ink cartridges and the appropriate inks to refill your stamp when necessary. This also means if at some point you decide you want your stamp to be a different color you can simply swap out the pad for a new one. Protect Documents: This is why some smart person came up with embossers in the first place. 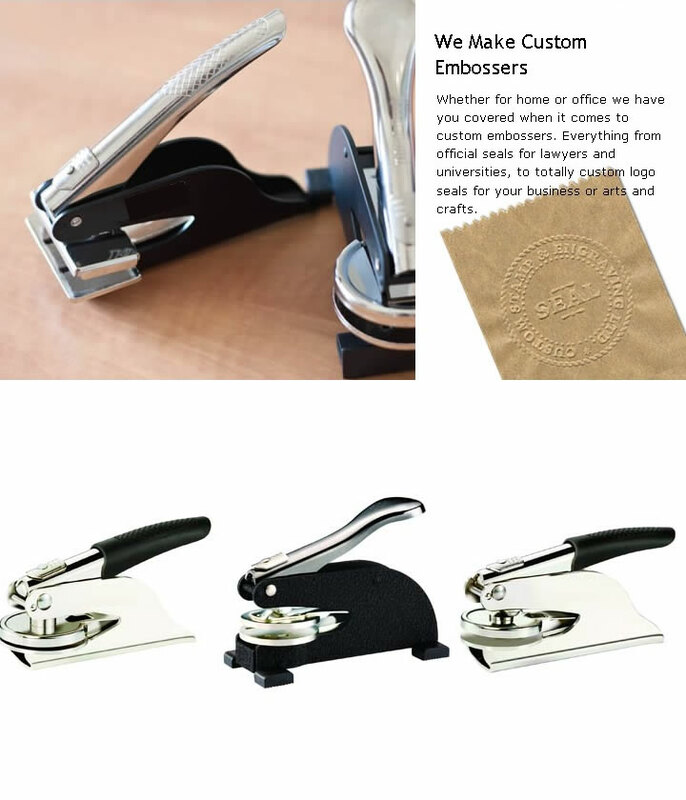 Protect and officialize your documents with your very own custom embosser. Good examples of this include the seal on a diploma, notarized documents, and corporate seals. General Use For Business: Emboss your branding onto paper bags, business cards, brochures, labels, or anything paper to help you stand out above the competition. This is a must if you sell gift certificates to protect them from duplication. Personal or Monogram Seal: A monogram is the marriage of two or more letters arranged as one design. This style of seal is perfect for embossing wedding invitations, autographing photos and artwork (on paper only), or adding a personal touch to letters, cards and envelopes. Signature Seal: Make you signature an embosser. Another great way to autograph and protect artwork or photographs on paper. A must have for photographers. Use Your Imagination: Just remember if it's made of paper you can probably emboss it! 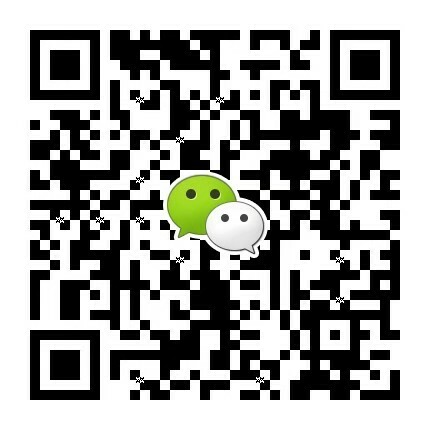 So we encourage you to think outside the box and share your ideas with us. We are always happy to help find new ways to use our products. 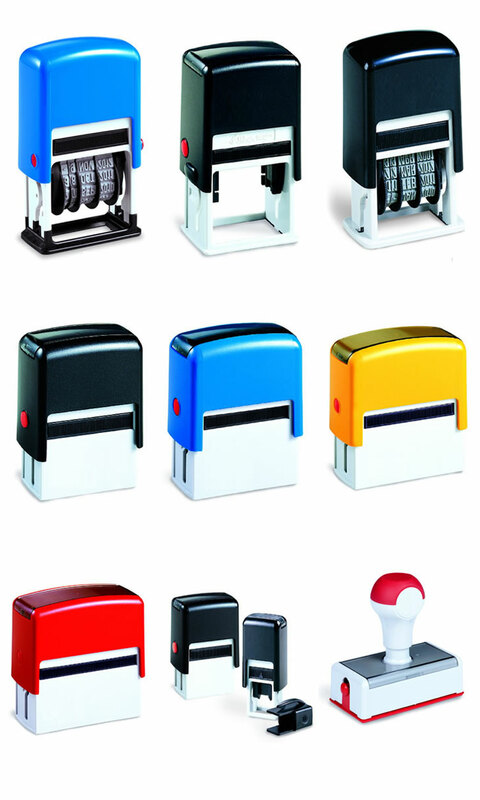 For those of us who need to stamp crazy amounts of numbers, Custom Stamp & Engraving carries the Automatic Numbering Machine. No need to mess up those fingers with ink because Numbering Machines rotate their numbers automatically whenever you stamp, even at set intervals. The numbers can be manually adjusted to start or restart at any number.